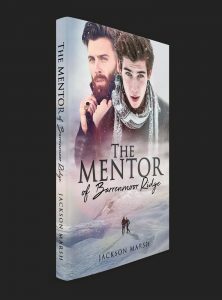 The Mentor of Barrenmoor Ridge is now available on Kindle (and in print in January 2018). John Hamilton, at 36, is an Everest climber living an isolated life halfway up wild Fellborough in Yorkshire. He’s there to recover from the death of his lover and put his life in order. Gary Taylor, at 19, is homeless with no chance of a future. Gary finds a desperate way to make money but the plan backfires on him, and he finds himself on Fellborough, injured and close to death. When John rescues him, the two soon come to realise that perhaps they can save each other, all they need to do is accept who they are and what they really want. ‘Barrenmoor Ridge’ is an MM romance novel with a thriller through line set in an unforgiving British winter, but hopefully, it will warm your heart. More about my novels at this page.